Dr. Jenine Arab O'Malley is distinguished as the first Atlantic Canadian Dentist to achieve accretidation in Cosmetic Dentistry through the AACD. Welcome to our website! Halifax Dental Studio is a leading cosmetic and restorative dental facility. We blend science and artistry, in the least invasive way, to meet your dental needs. 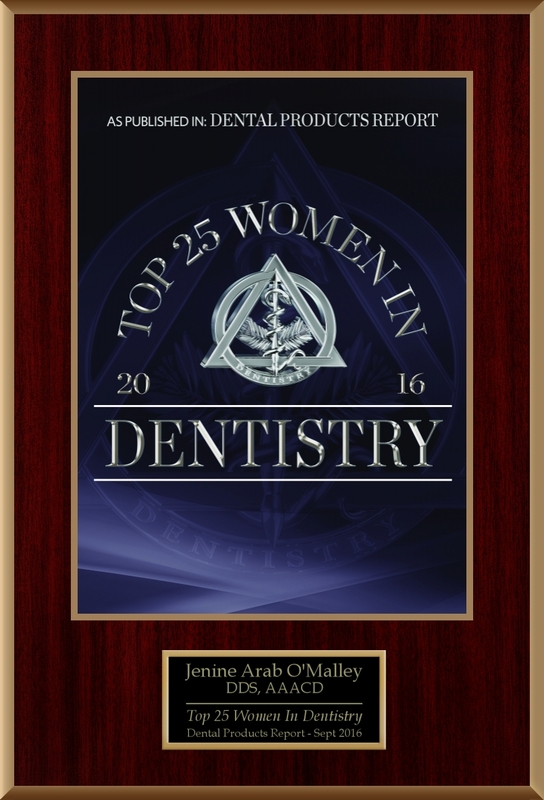 Dr. Jenine Arab O'Malley is a member of the American Academy of Cosmetic Dentistry, one of only approximately 400 dentists worldwide to achieve Accredited AACD accreditation status. Recommended as one of the Top Five Leading Dentist in the Halifax Regional Municipality. You will simply love our gentle and caring attention to your dental health and smile. Contact Us Today ~ Request An Appointment! Halifax Dentist, Dr. Jenine Arab O’Malley is dedicated to cosmetic dentistry such as Exams, Teeth Whitening, Veneers and more. We are looking forward to your visit to our Halifax, Nova Scotia dental office.